Now, the work is done and the testing is complete. On May 22nd [TW]Wilsonam announced that all current owners of RO2 will be getting a free content pack: The RO2 GotY Edition. Since the TWI team has worked so hard on making things "right" with RO2 and it's dedicated fans, I won't steal their thunder by copy/pasting their announcement (which can be found here, instead, I give you the RO2 GOTY Free Content Update Dev Diary video, where the members of Tripwire Interactive tell us about the changes that have been made. For those of you that haven't purchased the game, you aren't being left out in the cold. TWI also announced that there will be a Free Weekend on Steam, starting Thursday May 24th at 10AM Pacific time (1700 GMT). If you're tired of your current game or are looking for an FPS that can be played tactically, has a working command structure (Squad Leaders and a Commander) and working in-game VoIP, you may want to take advantage of the free weekend and grab it now! This is totally a tg game, and to see so little people playing this makes me think TG has lost it's way. We were all over BF3, a commercial release totally unadaptable to proper tg gameplay, and then that predictably died off despite an energetic 6 months hype. If you haven't taken a look at this game, do it. If you own the game and haven't played after the update, update it and have a look. The game is at release level now, granted a year after release. It is the only game that could possibly be an heir to bf2 imo, as it is the only game since then that offers a similar structure for teamwork. I wanted to add some of the nice moments that RO2 has. -Me and Risting of Aimed last weekend getting headshot... by a single lonely bullet LoL. -Hit an enemy, watch him slowly collapse while choking very audibly in his own blood. -footsteps are fixed; hear an enemy talking/walking/making any other sound near you and take him out when he comes to stab you in the back. -Bullet penetration; trough people as mentioned earlier, trough mostly any material you would think can be penetrated, with penetration differing depending on the physics of your round (kaliber/power/distnace from material afaik). I see an enemy at a window? I aim for the wall first as he mistakes cover for concealement. -A, german mg with 100 bullet-belt; Just because I prefer to kill the enemy indirectly with lead poisoning over direct hits :p.
-Epic bayonet killstreaks... Less tactical than panic mode, no killstreak bonusses whatsoever, but it is seriously gratifying if you are forced into a 7 bayo kill frenzy behind enemy lines as happened to me this weekend. -Squadleader spawn that works differently from BF2, but now works reliably which was not at all the case before the update. -The very few times we were able to get a full squad working together using voip...like TG bread and butter. "Red Orchestra 2 Price Drop and Guest Passes For Your Friends! 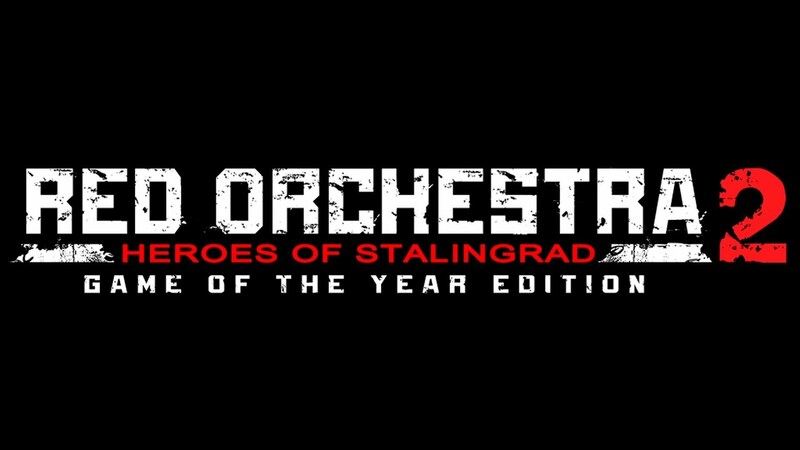 With the success of the recent free weekend on Steam and lots of new players enjoying the Red Orchestra 2 Game of the Year Edition, we’ve decided to do a couple of things to make it even easier to get into the game. First, we have decided to cut the price in half to $19.99 (14.99 GBP/17.99 EUR/299 RUB) for the game. Second, we’re giving everyone that owns Red Orchestra 2 a guest pass that they can hand off to a friend for them to check out the game free of charge. This is the game that won PC Gamer’s “Multiplayer FPS of the Year” and has recently been updated with new game modes, a new map, a wide range of gameplay refinements and performance improvements – all for free to everyone who owns the game. Tripwire Interactive is committed to supporting our games with free additional content for many years after initial release and Red Orchestra 2 is no exception to that rule! There is more content already in the works for the game, as well as a new add-on for the game: Rising Storm, that will bring the Pacific Theater alive for Red Orchestra 2 players." So, guest passes available, and a permanent 50% price cut? Ballsy move, bet it will work out economically.